With the upgraded forecast for tomorrow, TFS chief officer Mike Brown has declared a Total Fire Ban for the South starting midnight tonight. “We have never declared a Total Fire Ban as early as September before” Mr. Brown said. 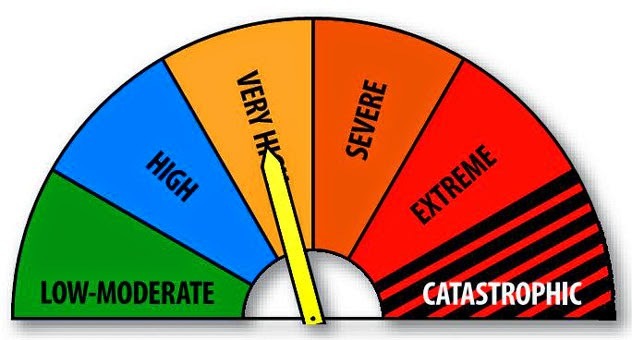 “Forecasted very strong winds, low humidity’s and warm temperatures will very quickly push fire danger ratings well into the ‘Very High’ range tomorrow, meaning any fires in the bush will be difficult to control." "While many paddocks are still green, forested areas in the east and south east are really starting to dry off. Southern Tasmanians are reminded that Mt Nelson and the Eastern Shore experienced particularly challenging fires as early as the first week of October 2006,” Mr Brown said. Areas covered by the Total Fire Ban include the municipalities of: Brighton, Central Highlands, Clarence, Derwent Valley, Glamorgan/Spring Bay, Glenorchy, Hobart, Huon Valley, Kingborough, Sorell, Southern Midlands and Tasman. TFS advises that gas or electric barbecues are permitted during a Total Fire Ban. For fire, or fire preparedness information, go to fire.tas.gov.au or call 1800 000 699.